There is a revolution underway in biology. It is based on a new perception of bodies and genes, in which the former are the end product of the latter within the continuum of evolution. Twenty fi ve years after Richard Dawkins helped revolutionize our thinking about "selfi sh genes," it is time to reevaluate. Revolutionary Biology explains in simple, vivid terms what this exciting approach has to off er, and then applies its stunning insights to human beings. 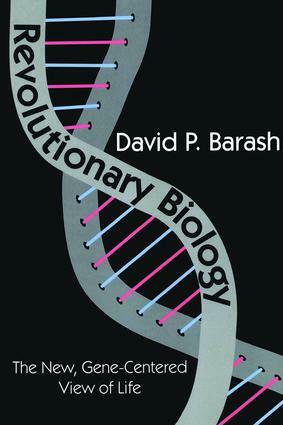 Th is novel perspective, galvanizes our understanding of how evolution works, what living things are all about and, not least, what it means to be human. Th e controversial disciplines of sociobiology and evolutionary psychology have generated startling insights into longstanding questions concerning the nature and purpose of families, altruism vs. selfi shness, and free will vs. biological determinism. Written by one of its foremost fi gures, Revolutionary Biology is a manifesto and educated layman's guide to this ongoing revolution.